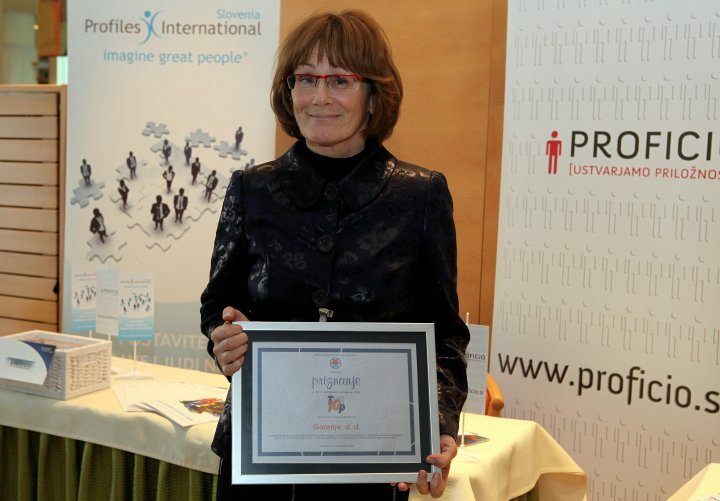 On 19 November, the traditional bestowal of awards to Slovenian companies for investing in knowledge and development of employees that is every year organized by the company Planet GV took pace in Ljubljana. Gorenje is once again among the best ten companies that have proven to be investing in employee education. This year, Gorenje has applied for the award once aging after having won it for four years in a row and once again it has joined the group of ten best Slovenian companies that invest in education and training of employees. Gorenje ensures with special education and training programs well-qualified and motivated employees. It supports personal development of employees and encourages them in achieving company's goal.